“Why should 3D printing be in schools?” That’s a question I find myself having to answer over and over in response to questions posed by educators and school administrators who are relatively unfamiliar with the technology. My response is usually an easy one. I simply point them to the plethora of stories that we have covered on the amazing things that 3D printers have allowed students to create. Back in October, while attending the Inside 3D Printing Conference in Santa Clara, California, I met a young man by the name of Noah Fram-Schwartz. I distinctly remembered him because of his unique 3D printed business card, which I still have sitting on my desk. From the moment I met him, I knew this guy had an affinity toward 3D printing. It was just the excitement that he exuded when talking about projects which he had taken part in. Fram-Schwartz founded Deis3D, a 3D printing club at Brandeis University, last February. He served as the president for about 10 months before leaving and handing leadership over to current president Eduardo Beltrame. This past weekend, the club held the world’s first 24-hour 3DPrintathon, which we first heard about last month. The schools involved in the competition were Columbia University, University of Connecticut, Brandeis University, and even a local high school — Waltham High. 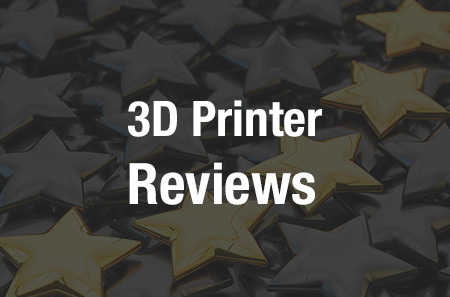 There were three designs which stood out, and winners got to pick from a number of prize buckets including credit for having their invention 3D printed by Shapeways, Netfabb Pro licenses, Simplify3D licenses, $500 in Shapeways credit, and plenty of 3D printer filament. The winning design, which “blew the judges away,” was an incredible 3D printed prosthetic leg for bikers. It was created by a five-person team of students from the University of Connecticut, and attaches to a bike pedal to allow a person with a missing leg to have greater control over their mobility. Other creations included a braille keyboard phone case for smartphones, allowing the visually impaired to more easily communicate via their phones. The keyboard runs using Arduino, and connects to the phone via Bluetooth, and it was built for under $50. Another team created an electricity generating water wheel. Both were 3D printed. This is only the first of what Deis3D hopes will be many 3DPrintathons to be held in the future. Since being founded a little over a year ago, the club has a mission of spreading 3D printing and inspiring innovation. So far it looks as though they are doing a terrific job at both. It is currently one of Brandeis University’s most popular clubs. What do you think about the winning creation? Could this 3D printed biker’s prosthesis aid in providing amputees with the ability to better ride bicycles? Discuss in the Deis3D 3DPrintathon forum thread on 3DPB.com.